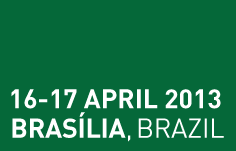 POST-EXPO Latin America 2013 is organised and produced by UKi Media & Events Ltd, a leading UK company which is recognised worldwide for its innovation within specialist markets for highly successful international trade conferences, exhibitions, magazines and reviews. Please contact us if you require any additional information, or if you have any comments or questions regarding this event. Exhibition and conference – sponsorship opportunities, booking a stand at the exhibition, conference program and attendees. Tel: +44 (0) 1306 743 744.